يشكل فندق Verandahs Boutique Apartments بموقعه الممتاز في قلب نورث بورت دوجلاس نقطة انطلاق ممتازة لاستكشاف بورت دوجلاس. يمكن من هنا للضيوف الاستمتاع بسهولة الوصول إلى كل ما تقدمه هذه المدينة النابضة بالحياة. كما يمكن الوصول بسهولة إلى Funstuff by Lynda, اكوموديشن بور دوجلاس, Whileaway. يعمل Verandahs Boutique Apartments على ضمان إقامة مريحة لضيوفه من خلال خدماته الممتازة وحسن ضيافته. يمكن لضيوف الفندق الاستمتاع بالميزات التالية على أرض الفندق: واي فاي مجاني في جميع الغرف, مرافق مخصصة لذوي الاحتياجات الخاصة, تسجيل وصول/خروج سريع, تخزين الأمتعة, واي فاي في المناطق العامة . استمتع بوسائل الراحة الراقية في الغرف أثناء إقامتك هنا. بعض الغرف تتضمن تلفزيون بشاشة مسطحة, اتصال لاسلكي بالإنترنت, مكيف هواء, مكتب, شرفة/ تراس لمساعدتك على استعادة طاقتك بعد يوم طويل. يقدم الفندق مجموعة رائعة من الخدمات كمثل حوض استحمام ساخن, مسار جولف - ضمن 3 كم, حمام سباحة خارجي, سبا, حديقة، لجعل إقامتك تجربة لا تنسى. يشكل Verandahs Boutique Apartments بخدماته الراقية وموقعه الممتاز، قاعدة مثالية للاستمتاع بإقامتك في بورت دوجلاس. Great location and friendly owner. Quiet and near amenities. Heated pool was a delight for my daughter in winter. 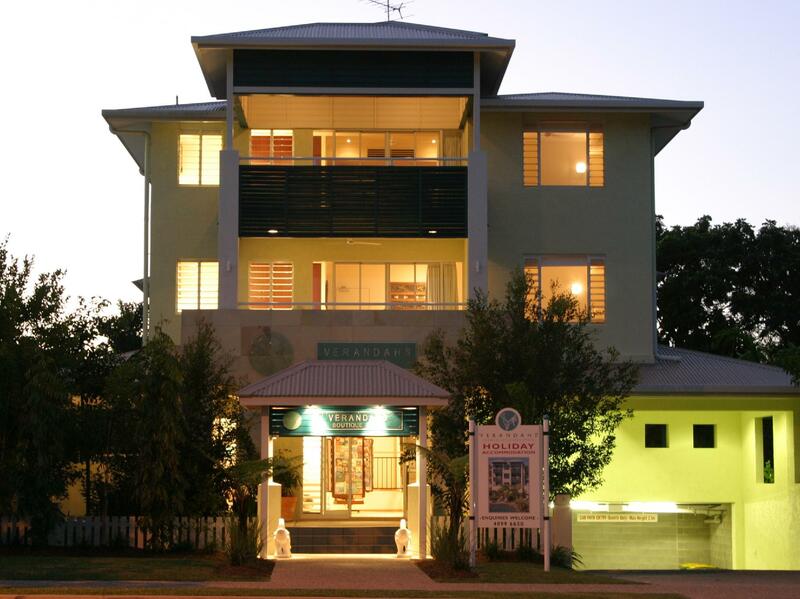 The Verandah Apartments are a great place to stay. 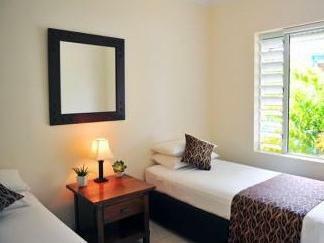 The apartments are comfortable and clean.They are located in town near many restaurants. The staff is very friendly and helpful. They booked all our excursions with reliable A+ companies. First time visit to Verandahs Apartments, however have previously been to neighbouring facilities. Well presented, spacious, comfortable and very clean apartments. Set in tropical gardens. Management staff friendly and very helpful. Conveniently located some 100 metres from Macrossan St. Pool is somewhat small and only for wading. 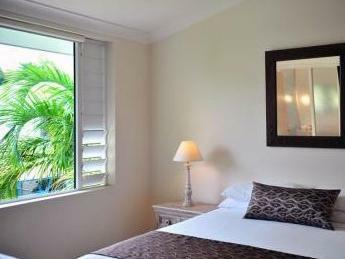 Good apartment accommodation inPort Douglas. Close to shops and restaurants so no car or taxi required once your there. Fantastic location- close to shops and beach. Good facilities, nice pool and gardens. Bed and bathrooms were good. Only concern was the noise transfer from upstairs, from the plumbing and from the stairwell. My husband and I recently stayed here with our teenage sons. We chose Verandahs over another place with a third bedroom because the overall living space was so much bigger and the location on a quiet street, but just around the corner from the main shopping / eating area, was perfect as the boys could come and go as they liked. Verandahs is also a really easy stroll to the beach and the marina (from where we caught a boat out to the reef). BTW, don't forget to book a tour of the rainforest with Tony's Tropical Tours while you're there. It's a shame there was just so much to do in and around PD as we only had 5 days and would love to have spent more time just relaxing at Verandahs, enjoying the big balcony with BBQ and chilling by the pool. Sue, the owner, was really friendly and helpful and the whole holiday was one of our best. Highly recommended. 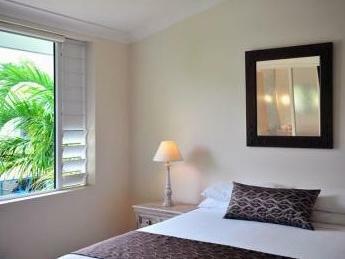 Good location walking distance to shops,restaurants and marina. Best location, pool and staff. Quiet, clean and tastefully decorated. Very pleasant experience staying at Verandahs Port Douglas. Good value, helpful staff and nice apartment. Sue and her team , so welcoming! We were looking for a relaxed accomodation to base our port Douglas holiday, and this was just perfect. Relaxed and well equipped enough to feel like home; luxurious enough to feel special. Sue made everything easy. Great place. Staff advice meant we got the best out of our short time in the Daintree. Very close to Port Douglas' eating and shopping centre. Well equipped kitchen. We got such a good deal because we stayed out of season that we booked a two-bedroom apartment for just the two of us. The bedrooms were clean, spacious and well-located, one with an ensuite and the other down a little hall next to the bathroom, so two couples would have quite a bit of privacy from one another. The lounge area is small in comparison but opens out to a small verandah. It is squeezed sideways between it's two neighbouring properties and we found the verandah overlooked those next door. The kitchen was well stocked with equipment and a good size. We wanted as much quiet as possible so we asked for a room on the top/third floor but then found there was no lift. As older visitors, help with our suitcases would have been appreciated. Perhaps when Sue's husband is around, he does help but he was out of town when we arrived. Sue was very friendly and gave us great advice on where to visit, tours to take, places to eat.